enterprise 2.0 - Eric D. Brown, D.Sc. Quote:…what would enterprise IT look like if all companies were afforded the opportunity to “start over?” In 2011, we might just find out. Other less destructive but incredibly powerful drivers for change are at work, and the coming year will be one of massive transformation in the enterprise. Quote: When you say this to a colleague, a new hire, a student or a freelancer, you’ve established a powerful norm, one that they will be hesitant to challenge. Quote: The predominant model for both the personal aggregation platforms and for mobile devices is the news feed. The magazine and newspaper layout was the mental model during the transition from printed to digital content. However, the news feed is native to the digital format, and is much more ideal for presenting digital content. Quote: Too often we hear and see pundits talking about which technology solution is best for Enterprise 2.0 – but the reality is none of them is effective unless you have engagement right. My review in two words: Excellent book! Whether you are an expert in the Enterprise 2.0 world or just a beginner, this book has something for you. Whether you believe in Enterprise 2.0 or not, this book has some excellent concepts that can be used to help bring social tools into the enterprise. The book is split into two parts with the Part 1 covering the tools of Enterprise 2.0 and Part 2 discussing how to successfully utilize social tools within the enterprise. Part 1 provides a very good overview of the tools and techniques of Enterprise 2.0 as well as some real-world case studies of companies that have implemented Web 2.0 platforms. These companies are extremely diverse running the gamut from government agencies to start-ups and the information provided by McAfee shows real-world usage of Web 2.0 within enterprises. Part 2 is where the really good stuff happens. This is where McAfee shines. This is the stuff that every CEO, COO, CIO and CMO should read and digest. This is the place where you get to see some strategies for using social tools within the enterprise. When you read this book make, sure you pay attention to the Six Organizational Strategies starting on page 179. Good stuff. Will this book give you the recipe for successful use of Enterprise 2.0? No. Will this book make your Enterprise 2.0 project(s) successful? Maybe. Maybe not. What this book will do is give you some ideas on how to introduce Enterprise 2.0 into your organization and give you some tips on make it successful. So…let’s take a step away from the book for a minute and look at the topic itself. Enterprise 2.0. Great name but one that has been much maligned. The topic has caused a lot of debate since being introduced. For some examples, go read Dennis Howlett‘s article titled “Enterprise 2.0 – the non-debate” and then read Mark Fidelman’s response on CloudAve titled “Enterprise 2.0 Caffeine: Let’s debunk the non-debate” to get some flavor of the various debate’s happening out there on the topic. I’d love to hear your thoughts on the topic of Enterprise 2.0 in the comments. Enterprise 2.0 is the use of emergent social software platforms by organizations in pursuit of their goals. With those definitions in mind, let’s revisit one of the main arguments against Enterprise 2.0 –> The value of Social Media / Enterprise 2.0 cannot be determined. In fact, there are many (Howlett included) that say social media tools are worthless to the organization. How valuable is the knowledge of an employee? How valuable is the knowledge of 10, 100 or 1000 employees? Can you place value on that knowledge? Maybe. Maybe not. That doesn’t mean that trying to harness that knowledge is worthless. So why would using tools to harness that knowledge be worthless? I can understand some of the arguments of folks out there against Enterprise 2.0. There are a lot of buzzwords floating about and a lot of hype around the subject, but if you take the lessons from this book to heart, you’ll do more than buy into the hype…you’ll give your organization an opportunity to succeed by really harnessing the expertise, experiences and value of your organizational knowledge. Ahhh…Social Media. THE hot topic these days (and for some time to come I think). There’s no arguing that the use of social media is a valid and necessary way to reach out and engage your community, but how does the use of these tools affect the IT organization, IT leadership and the CIO? Social Media can cause a lot of headache’s for IT but with The New CIO in place, those headaches can be lessened by embracing the community (externally and internally). Embracing the community is actually much easier than keeping that community at arms length or worse…ignore the communities. Why is Social Media important to The New CIO? Simple…it’s another tool to step into the conversation. If you don’t know what that statement means, go read The Cluetrain Manifesto. If you aren’t in the conversation, you can’t hear what people are saying. Helping an organization listen should be one of the top priorities for The New CIO. To listen, the organization has to have their ears open and must be fully engaged with their community. In order to engage, The New CIO must provide a means to allow the organization to embrace the community…that might mean rethinking security regulations to provide more access for employees or building velvet rope social networks to draw in the community. Social Media in the Enterprise requires a mindshift from one of closed architecture to a bit more of an open one. Gone are the days of closed systems and keeping your clients and community at arms length….today you’ve got to reach out and embrace those communities. To do that, you’ve got allow Social media platforms into your organization while also keeping an eye on security….but more importantly, The New CIO has to understand the power of social tools to embrace both external and internal communities. There are many stands to take against Social Media in the Enterprise. There’s the IT security argument and the personal information protection arguments…but are these really viable arguments? I don’t think they are…as long as your IT security team are doing their jobs in the first place. Of course, there are real challenges to overcome for The New CIO. Topics like personal information protection and protecting intellectual property are valid but can be overcome with reasonable controls and guidance. That said, you’ve got to allow people to be themselves too…don’t lock down security on your IT systems so much that it hampers your users’ abilities to use Social Media tools. 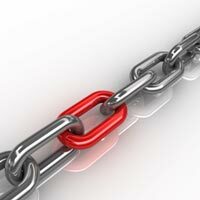 Integration is a key challenge for IT groups. How do you securely integrate a SaaS platform for social networking? Companies like Ripple6 are doing some great things in this space but I’m not sure how far into the enterprise these systems really can go. Some organizations are providing internal platforms that provide internal communities to organizations. An example of this type of technology is Newsgator’s Social Sites which turns Sharepoint into a Facebook-like platform that makes it easy for people across the enterprise to find others with similar interests and share knowledge. Systems that allow your organization to connect internally and externally will be the smart play. Are there any systems that seamlessly provide internal communities & external communities together? I’m not sure…but if not, there should be. How cool would it be to have a fully secured platform that provided similar functionality as Facebook and provides your internal users with the ability to connect with each other and with external users. Today this is possible by using separate tools like Facebook & Twitter…but what if you could bring the conversation to your website directly? What if your ‘corporate’ website changes from being a place to yell about your products to being a place where discussions happen. Jeremiah Owyang has a great post on this very topic. Gone are the days of static websites with marketing material…we’re moving into the days of interaction and engagement directly on the corporate web presence. The New CIO will need to play a key role in this move toward the mixture of internal and external audiences by understanding the technology, security, marketing and social implications. Engaging your customers is here to stay…whether you call it ‘using social media’, marketing or PR, you’ll need to find a way to embrace your customers and your employees. The New CIO must find a way to allow internal and external communities to co-exist while also keeping IT security as high as possible. The challenge for The New CIO is to find a way to provide the engagement that Social Media platforms and tools provide while also protecting intellectual property, personal information and the IT infrastructure. What can The New CIO do today? Not many organizations are ready to move full-bore into the world of Social Media and very few are ready to step in as far as I think they should. Many organizations don’t understand what it means to engage and listen to their communities…even after 10 years of talking about joining the conversation. One way The New CIO can help organizations move closer to the community by providing leadership and guidance on embracing the internal community first. This is a much less risky move for most organizations because it removes many of the security and intellectual property arguments from the table. Taking this first step into the world of social media can open up a lot of avenues for collaboration and communication within the organization and can help make people more comfortable with the idea. This doesn’t have to be an expensive proposition either. If your organization is comfortable with LAMP, Grab WordPress MU and setup an internal blogging network. Let every employee have a blog…let them talk and help the organization listen to them. I’d be the HR group would love to have the ability to hear what the people are saying. Even better…put BuddyPress on that same box and start building an internal social network. If you are a Sharepoint shop, you’ve already got some functionality for blogging and collaboration in the MOSS 2007 system. Do the internal pilot and help people understand the power of community…then you’ll start seeing people clamoring for a way to embrace the external community. Once that happens, you’ll be on a fun ride trying to connect your internal and external communities. It will be a challenge…but one worth hitting head on. Check back next week when I talk about The New CIO and the challenge of keeping IT employees engaged and employed. Whatnell stresses that we need to make sure that we don’t “…waste a good crisis.” What he means by this is that 2009 is going to be tough and it’s going to force every IT department to investigate nontraditional ways of delivering IT services. The article continues on to say that IT departments need to research lower costs method of delivering services to the organization. I don’t think anyone would disagree with that, but many would (and do) disagree with looking toward the ‘cloud’ for some of these services. Of course, if you’ve read my post on Cloud Computing, you know that I’m all for looking at the Cloud for methods to deliver software and services. Whatnell, according to the article, has a similar mindset. Whatnell is somewhat famous for saying that he’d consider moving to a cheaper alternative, such as Google’s email system, if he could get 90% of the functionality for 10% of the cost. One of the reasons that he’s taken this stance is because he realizes that most users only scratch the surface of the functionality of the applications that they have available to them. Give the power users access to the fancy, expensive version of the apps and give everyone else the basic version. Think about your current email system, especially if you are in a large organization. Do you use all of the features of Microsoft‘s Exchange or Lotus Domino (is that still around?)? Personally, I use email and the address book and nothing else. Why couldn’t an organization take their email system out to the cloud? Reliability would be about the same I would think. Management overhead would be less (or would it?). A pertinent question to ask yourself as a head of IT is “if I were starting my IT operation today, would I do it this way?“. The answer to that question might just make you stop and think about researching other delivery mechanisms for your IT services.